Performers will showcase their skills on Street Stage, an awesome portable stage made by local talents Ross Hansen and John Francis. This Thursday we’re celebrating Dia De Los Muertos at MCM with an action-packed schedule of family-friendly fun! At 4:30 pm the kids from Edison Academy will perform the Thriller Dance. 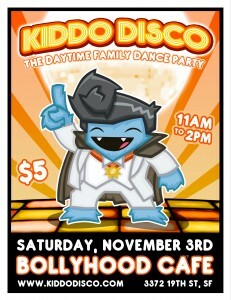 Starting at 5:00 pm, DJ Matt Haze will play music in anticipation of this Saturday’s Kiddo Disco show at Bollyhood (details below). Also at 5:00 pm, we’ll learn how to make Pumpkins Florentine and a Fall Flower Salad thanks to a cooking demo fro Violeta and Raul of Urban Sprouts. At 5:30pm Moving Beyond Productions, and the Marsh Youth Theater Dance program will present a Dia de los Muertos dance. What is Kiddo Disco, you ask? Well, The Great Pumpkin, Jack Skellington, and Dora the Zombie Explorer will all be there, getting their ghoulish groove on! Kiddo Disco is a daytime family dance party, back from the undead to celebrate Halloween with you and your creepy little creatures! There will be face painting, stroller parking, a diaper changing area and quiet reading area, as well as healthy and delicious snacks and a bar for the ghastly grownups. Megan (g)hosts and DJ Matt spins a weird and wacky mix of celebratory tunes. The only missing ingredient in the magic potion is you! This week we’re excited to welcome two brand new acts to MCM! At 4:00, Citizen’s Jazz will treat us to some lively jazz tunes. Citizen’s Jazz is a collective of some of the most talented and passionate jazz musicians in the Bay Area. 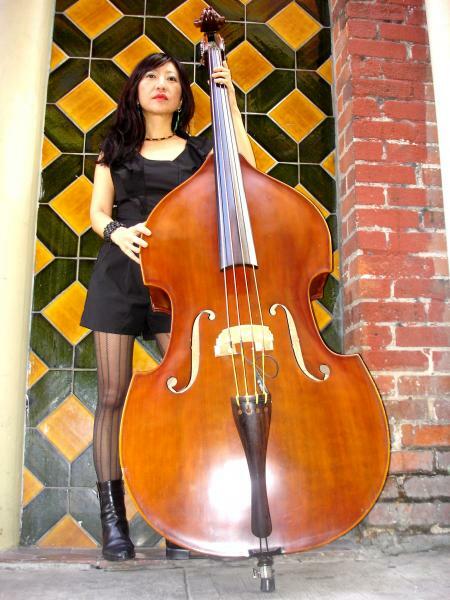 Led by bassist Caroline Chung (pictured), the concept was devised from and inspired by the creativity of the many wonderful musicians she has met and played with. Each combo brings in a different flavor to the collective while maintaining the integrity of be bop, swing & blues from the good ol’ days! At 6:30, Jascha (ya-sha) will wow us with a set of Brazilian pop songs. Jascha is a songwriter and science journalist in San Francisco. 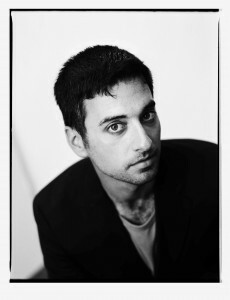 His debut album A Cure for Sleep was praised for being a collection of “deceptively simple, deeply weird pop songs” that earned comparisons to Sufjan Stevens and Leonard Cohen. Jascha’s second album, The Future Limited, was released in March 2012. One of his music videos went viral after appearing on The Atlantic and Boing Boing. We are excited to welcome both Citizen’s Jazz and Jascha to MCM this week. All the fun starts this Thursday at 4:00 pm! Great Musicians Returning to MCM! This week we are excited to welcome two great musical acts back to Bartlett Street. These performers aren’t strangers to MCM, and each time they come by they leave us filled with positivity at hearing their lively music. We will also welcome La Familia Peña-Govea this Thursday at 6pm. As a bandleader, arranger, trumpeter, accordionist, vocalist, and recording artist, Miguel Govea offers some of the best Latin music in the Bay Area. For the last 25 years, he has led and accompanied various musical ensembles. At one fateful performance, Miguel met Susan Peña, who eventually became the mother of his daughters, Rene and Cecilia. Twenty years later, the four members of La Familia Peña-Govea are exciting performers of traditional Tex-Mex and Colombian music, garnering acclaim at festivals and events throughout Northern California. Celebrate Hispanic Heritage Month with Us! September 15th through October 15th marks a month-long celebration of Hispanic Heritage spanning across Mexican, Central American, and South American cultures. Help us prepare for this vibrant and exciting time of cultural celebration by welcoming two extremely talented Latino musical acts to Bartlett Street this Thursday beginning at 4pm. 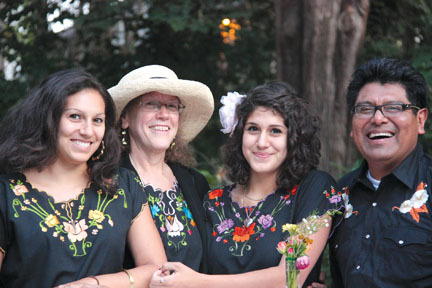 First up will be Diana Gameros, originally from Ciudad Juárez, México and now living in San Francisco. Diana is an Alternative Latin singer and songwriter who creates inspiring music that reflects the 21st century experiences of a young indie artist at the borderlands between cultures, languages, and genres. 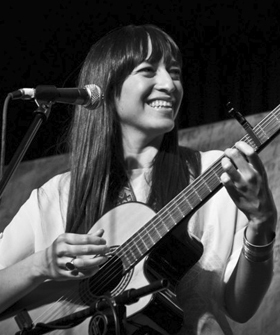 Come hear her music at MCM as she prepares for her upcoming performance at the Herbst Theatre on Sunday, September 30th where she will open for Brazilian singer Bebel Gilberto. Second up this Thursday evening will be Makrú, playing at 6:30 pm. 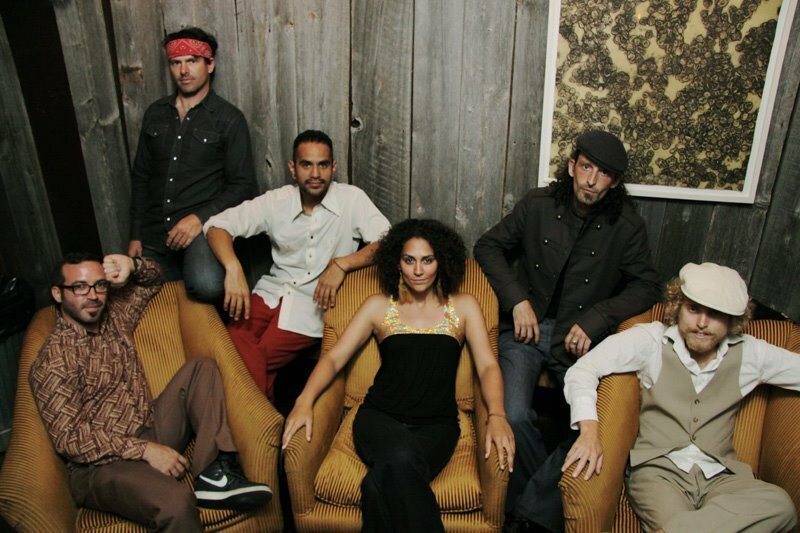 Their group is made up of talented musicians from Mexico, Spain, the US, and El Salvador, blending elements of Cumbia, reggae, rock, flamenco, and more. Both of these musical acts are sure to bring exciting, vibrant music to the Mission Community Market this week. You definitely won’t want to miss these performances. See you this Thursday and don’t forget your dancing shoes!